While they help steer the strategic decisions that chart our school's course, the Board is also part of the LCS community. All current board members are parents with students enrolled at the school. As such, they understand the importance of involving parents, teachers, and staff in decision-making. The nine member Board of Trustees is made up of four trustees who are elected by parents, two who are appointed by the Board members, and three who are appointed by the U.S. Ambassador. The governance structure of the Board of Trustees consists of three standing committees, Finance, Trusteeship, and Executive. They are made up of members of the Board, Administration, and members of the community. The role of the Finance Committee is to exercise oversight over school finances, recommend draft annual budgets for Board approval, and develop a rolling seven-year financial plan for LCS. The Trusteeship Committee is to sustain an effective Board at LCS to carry out its mission using good governance practices and to ensure that a strong pool of candidates stands for election each year. The role of the Executive Committee is to give recommendations to the Board of Trustees which arise from standing committees. The EXCOM committee is designed to facilitate communication between and among board committees, as well as with Board membership as a whole. In any given year the Board may create ad hoc committees, such as the Facilities Task Force to perform specific tasks or goals. Such committees will normally exist for a pre-determined period of time but will follow the same guidelines as standing committees. 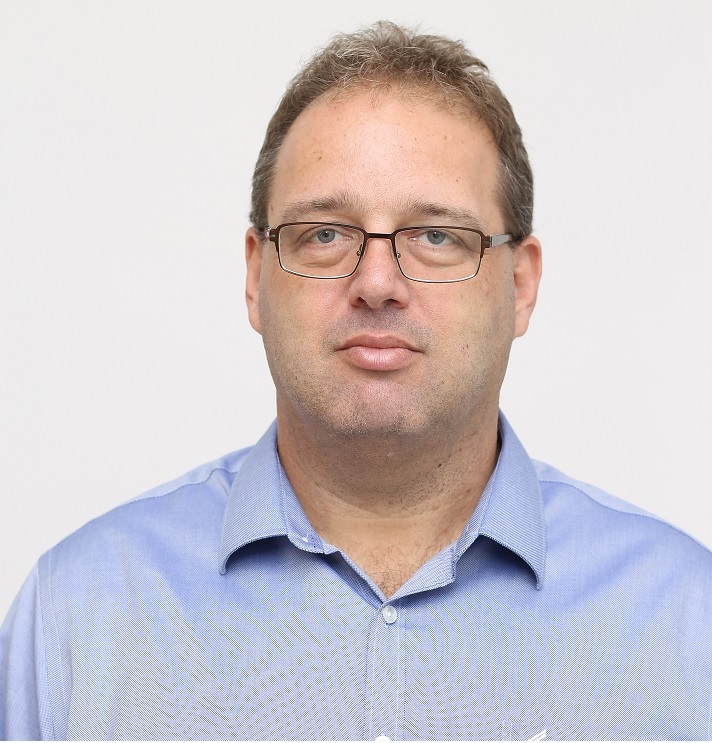 Russ Farnsworth is the Regional Controller – Africa for Newmont Mining Ltd. Prior to his arrival in Accra, Russ worked in the Newmont Corporate office in Denver, Colorado with responsibilities over technical accounting. Russ also spent time at an exploration stage mining company and prior to that worked for Ernst and Young, LLP in Denver, Colorado. Russ also lived 2 years in Venezuela as a volunteer representative for his church and is fluent in Spanish. Russ holds a Bachelor of Science degree in Accounting from Brigham Young University and a Master of Business Administration with an emphasis in Strategic Management from Regis University. Russ, his wife and three sons arrived in Ghana in September 2015. Kristina Dunlevy and her family arrived in Ghana in August 2018 to serve with the United States Embassy. Kristina is an experienced international development professional and consultant, with nearly 20 years of expertise in the areas of program and financial management on a wide variety of social change projects. Most recently, Kristina served as the Deputy Chief of Party for the USAID Local Enterprise and Value Chain Enhancement Project in Haiti. Kristina holds an MBA and a MS in development management from American University, and speaks French. A former Peace Corps Volunteer in Madagascar and Gabon, she is delighted for the opportunity to share her commitment to service with her two children, both students at LCS. Tula Zeng is the Regional Planning Director – Africa for Newmont Mining Ltd. Prior to arriving in Ghana, Tula held a similar role in the Newmont Australia office. Tula has worked in the mining industry for 7 years and prior to that managed her own consultancy business, providing strategic planning and project management services for various local, state and National public sector agencies in Australia. Tula has also worked in Papua New Guinea for several years and lived and worked in China. Tula holds a Bachelor of Science in Biotechnology from Murdoch University, a Graduate Diploma in Computing from Curtin University and a Master of Business Administration from the University of Western Australia. Tula has lived in Ghana since March 2017 with her husband and two children, Aidan and Xiana. Casey-Anne Kriel is a director of a small South African company and also currently does consulting and volunteer work. Prior to arriving in Ghana, Casey worked for Africa’s largest electricity provider based in South Africa for 7 years where she headed up the finance function of 2 of 9 provinces together with various national finance and business improvement projects. Casey spent 5 years at KPMG Inc, Johannesburg and 10 years prior to that at First National Bank Limited, one of sub Saharan Africa’s leading banks, based in Johannesburg and Sandton, South Africa. Casey qualified as a Chartered Accountant when she completed her articles and requisite exams after converting a Bachelor of Commerce degree majoring in Accounting and Economics to an Honours Bachelor of Accounting Science degree majoring in accounting, tax and auditing, both with the University of South Africa. Casey also completed an Executive Management Programme with Henley Business School and an Associate Diploma with the Institute of Bankers in South Africa. Casey, her husband Wayne and two sons arrived in Ghana in July 2015. 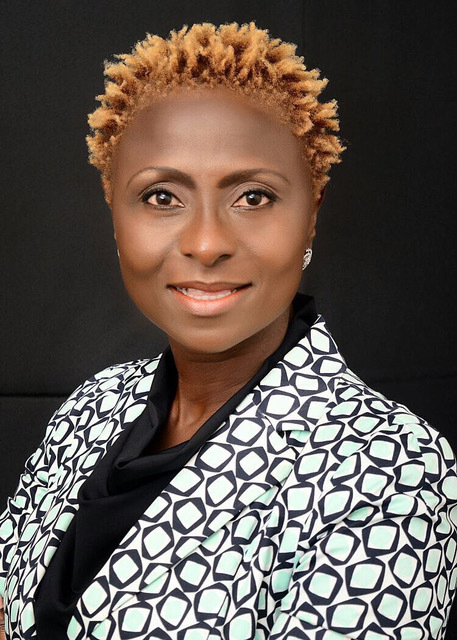 Yvette Malcioln joined USAID/Ghana on August 11, 2017 as Senior Education Advisor and as of June 2018 will be the Deputy Office Director in USAID's Education Office. Prior to this assignment, Yvette served as the Education Team Leader in USAID/Bangladesh for four years. She has worked for USAID for twenty-three years, mainly in education, in various posts in Africa, Latin America, Southeast Asia and Washington DC. She was a Community Development Peace Corps Volunteer in Ghana in the Volta Region. Yvette is a proud New Yorker (go Yankees!) and has a Masters’ Degree in Organizational Psychology from Teachers’ College at Columbia and an undergraduate degree in Sociology from Smith College. Yvette is happy to be back in Ghana, this time with her daughter, Michelle, a 10th grader, and their two dogs, Tiger and Coco. Roberto Quiroz II is a Foreign Service Officer serving as Counselor for Public Affairs at the U.S. Embassy in Accra, Ghana. His past immediate assignment was the U.S. Embassy in Yaoundé, Cameroon where he served as Public Affairs Officer. He has represented the US Department of State in variety of capacities in Tanzania, the Democratic Republic of Timor-Leste, the US, South Korea, Chile and Argentina. Prior to entering the U.S. Department of State, Mr. Quiroz served for eight years in the United States Air Force, where he earned his commission from the Reserve Officers Training Corps (ROTC) program. He holds a B.A. in political science from California State University, Northridge and speaks Spanish, French, Portuguese, Swahili, and some Bahasa Indonesia. In Cameroon Roberto Quiroz II served on the Board of the American School of Yaoundé (ASOY) as the U.S. Ambassador’s representative for one year and two years as Chair of the Board. A Ghanaian national, Carlian T. Flormann grew up and was educated in Ghana and Germany. Following her British Education and having completed professional training in Germany, she embarked on her career in the world of work, gaining extensive experience, as she describes it, in the “university of life.” She believes that to be one of the best qualifications one can have. Her marketing and advertising career has included managerial roles at DR-Werberagentur, D2 Mannesmann Mobilfunk GmbH, and Vodafone GmbH in Germany. She also started her own company in Ghana, Biezui Ltd. Carlian returned to Ghana with her family in 2009 where she faithfully served the Lincoln Community School PTO for several years, including serving as President for two years. Her multicultural background, coupled with her networking and creative skills, were invaluable in promoting the Lincoln Fund, organizing Lincoln’s 45th Anniversary Gala, and naming and designing the logo of the Nkomode Café. Haim Lewy is an Entrepreneur Operating in West Africa since 2002. He is a Security and Communication Technology expert with over 16 years of experiences in International sales, technical management and business development with focus on West Africa. Haim is a Creative thinker and a quick learner with excellent communication and negotiation skills, with experience working with divers nationalities and complex organizations. Among others Haim is a Director in the Ghana Israel Chambers of Commerce and an active parent in the LCS community activities. Ghida is Owner and Director at Teledata ICT, a leading ISP company in Accra. She is also co-owner and co-director at We Events events company also in Accra. In May 2017, Ghida took an intensive course in Neuro Linguistic Programming which has certified her as an NLP practitioner and coach. Ghida is fluent in English and Arabic and having grown up in Ghana she can read, write and speak Twi to a great extent. Ghida lives permanently in Accra with her husband and 3 children. Sheena Nabholz joined LCS as Head of School in 2017-2018 coming from Yaoundé, Cameroon where she was Director of the American School for four years. Sheena has worked in international schools for over 17 years on three continents after a 10 year tenure in Alberta, Canada. Previously, she was in Jordan at Kings Academy where she held the posts of Dean of Academic Affairs and Deputy Headmaster for four years. Before that, Sheena spent 6 years in Syria at Damascus Community School as Secondary Principal and teaching assignments in Costa Rica, Egypt, and Canada in the area of secondary mathematic. Sheena has a MA in Educational Administration from Framingham State College and a B.Ed. from the University of Regina, Canada. Sheena is joined in Ghana with her husband, Barry Nabholz. Sheena brings extensive experience, positive energy, and an inclusive leadership style to our school.